This Midsleeper combination incorporates a new feature rounded headboards and 3 Cube Units with 4 doors in each it is a sturdy and safe bed frame mainly produced in solid pine. 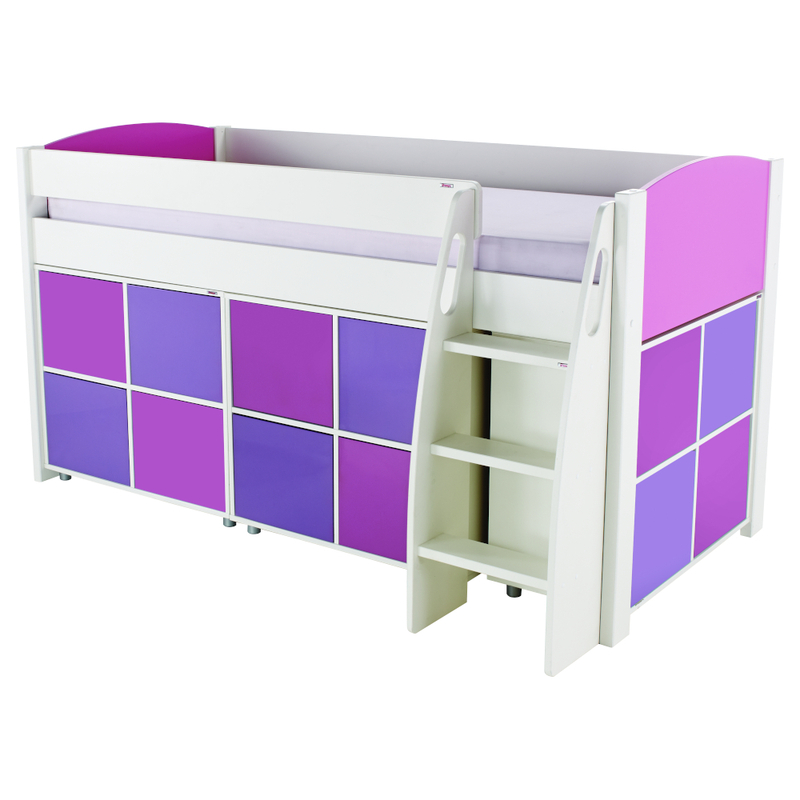 Includes Uno S Midsleeper and 3 Cube Units with pink and purple doors. Includes 2 pink and 2 purple sleek lined push-to-open doors in each cube.